We’re finally in December! We’re still about 6 days from the release but I think it’s fine enough time to finally get a clue of who are our favorites out of the newcomer pool for this game are. I have decided that I will exclude DLC characters for now. But I will at least reset the poll in every release month a new character is released. It’s looking like Piranha Plant will be out in February. So if the plant is your favorite newcomer thus far, just either wait until then or choose your favorite out of the base game cast. As for my thoughts on this base game cast. It’s certainly an interesting mix, I feel it’s a lot less controversial in comparison to Smash 4. Albeit of course will seem small for quite a bit of people, until DLC comes out it will be the lowest newcomer count of any Smash game where even the original Smash had 1 more character, though if you don’t count echoes even after DLC is finished there will be less new characters then any Smash game barring a 2nd Fighter Pass season happening. But that was the price paid for the “Everyone is here!” tagline. There’s not a newcomer I’m personally SUPER hyped for in terms of personal interest in the character, but a good majority of them are very interesting. The only one I likely won’t play all that often is Daisy. I prefer Peach as a character and have really no need to use Daisy, especially since it’s looking like Peach and Daisy are closer to Pit/Dark Pit levels of similarities and even the Final Smashes aren’t much different. Daisy doesn’t even have the potential hilarity of a “HI I’M DAISY” taunt. Ridley and K. Rool are big fan favorites that have been long awaited, though I’ve never been a big user of heavier characters. Isabelle looks to be a little more interesting for me then Villager was, I’ll be sure to give Simon a good try as he is a really cool inclusion. And Incineroar might be fun from time to time as well but again he is kind of another slow, heavy kind of character. Turns out nothing is random heh. OP kept but struck out for context of some of the first replies. Putting this thread ahead of time to both have something to confirm now and something to post for fun later. At least in terms of Classic Mode and maybe even Vs. Matches. Character unlocks will be completely random! There were streams earlier today that proved this with Kirby unlocking Ness, while Link unlocked King K. Rool. So it will be completely random who you get next assuming you unlock characters outside of World of Light or if the Amiibo rumor is true or not! When you get the game. Feel free to keep track of who you got in order. Who did you get first? Who did you get last? All that stuff. Just keeping this thread in handy until then. Of course this only really applies I guess if you didn't already decide to just try unlocking them through World of Light which I imagine may be a much more linear method (Albeit with the branching path with Sheik, Villager, and Marth. Not completely linear). But randomized unlocks of 63 characters (Pokemon Trainer will probably be one, and the 3 Mii Fighters may apparently be unlocked seperately) actually sounds like a lot of fun. We'll no longer have the fun of getting a character we had no idea was in the game. But the randomized feature does still provide a "Who are we going to get next?!" kind of feeling. And oh yeah, you still have to fight them in a Challenger approaching moment. And if you fail, a door may occasionally appear on the menu for you to try at it again. Today is the day we find out the rest of the base game characters for Smash Ultimate. But it’s also November now. So it’s time to go over the previous game in the series. Smash Bros. for Nintendo 3DS/Wii U! 3DS and Wii U certainly had a mixed bag of roster choices. There are some really good choices like Mega Man, Pac-Man, and Little Mac. But chances are there’s at least one character that someone just does not like being in the Smash roster. People thought Wii Fit Trainer was a joke, Corrin became a hatesink in regards to DLC, and of course you had Dark Pit in general (Albeit characters being retroactively echoes might not make them seem as bad. They're even retroactively echo fighters in the poll here. Which is why they have the e along with the number of the character they're echoed off of. When the Ultimate poll is up, the same thing will happen there). It’s the largest newcomer count of any game, but it’s also the most polarizing newcomer pool. I at least think it’s a better choice of characters then Melee. But I would fault anyone for saying Smash 64 and Brawl had the better pool. But Smash 4 definitely had some fun additions and I used a bigger variety of characters then I did in the previous games that I also plan on playing again once Ultimate comes out. Shulk, Mii Brawler, Bowser Jr., and Cloud are my favorites from this game. On the poll however we can only choose one, and I’m going to go for Cloud. He was not just an amazing surprise but really stood out to me out of all the DLC characters. He’s quite fun to play, and I am definitely looking forward to continue playing him quite a bit more in Ultimate. Part 3! Hard to believe we’re now close to about 2 months until the game’s release. And likely even less from knowing who all of the Newcomers for Ultimate will be! But for now it’s time to talk about our favorite characters from Super Smash Bros. Brawl. A big game in the series for sure even if it’s not exactly the competitive favorite. Still a good game through and through, but has some understandable misgivings depending on your view of how Smash is supposed to play. I’m personally one to say that Brawl has our best all-around roster. There’s literally no one in the roster of Brawl that I dislike as an inclusion. If you had to put a gun to my head to say which one is my least favorite character, it’s Lucas. But I don’t hate Lucas at all. That’s just how strong Brawl’s roster really is. Though there can only be one real favorite, and for me of course it’s freakin’ Sonic the Hedgehog. He was my dream for Smash Bros. realized. There is literally only one character in the entire history of video games that could surpass my hype for Sonic being in Smash. And that’d be another Sonic character (Tails). The hype for the possibility that Sonic could get in Smash is what got me to join internet communities in the first place. Smash boards being my first ever forum. I joined the Summer 2007. And one faithful day months later on October 10th, 2007 (The date is still kind of a personal holiday for me 11 years later) Sonic was announced for Brawl on the website and the internet went crazy. Mario Vs. Sonic in Smash was possible. And Sonic has stayed ever since, and I couldn’t be happier about that. Sonic continues to be my most used, barring the small chance Tails ever gets in the series as playable. Sonic will remain my most used no matter what. Every character inclusion since Sonic made it is practically just more icing on the cake, and targets of my Sonic to fight. As strong as Brawl’s roster is overall nothings going to top Sonic for me. It is THE inclusion that puts Brawl’s roster on top for me. I do gotta admit that while I do see it as a good game of course, I probably have the least attachment to both Melee itself and it’s pool of Newcomers then I do for every other game of the series. Melee is no doubt the better game then SSB64 but somehow I still hold better memories overall and for some reasons or another even if they’re entirely personal I also much prefer Brawl and Smash 4. My favorite Melee veteran is probably Mewtwo. I do find Peach, Bowser, Ice Climbers, Zelda/Sheik, Falco, Marth, Ganondorf, and Mr. Game and Watch all cool additions as well but they all don’t personally excite me all that much. And even in Mewtwo’s case, I didn’t really fell all that upset when he was left out of Brawl and base game of Smash 4. Perhaps most of that could be because I got my dream character in Sonic. But it’s still kind of a testament to my feelings about Melee’s newcomer pool compared to other Smash games that even my most favorite of the Melee newcomers I actually felt for a time that I could do without if need be. I just don’t use many of the Melee newcomers all that often while I have at least one or two characters from each of the other games that I use a lot and will probably use a lot once Smash Ultimate comes out. Sorry if I’m going to be the one guy doing any sort of negative thoughts on Melee and/or it’s Newcomer pool. But I think I have made it clear that I’m not too much of a big fan of some of the choices done with Melee that have led to other inclusions later in the series that I’m not too big of a fan of. We're only 4 months away from the release of Smash Bros. Ultimate. And I thought it was a good time to once again start a bit of a leadup to how far Smash Bros. has come. Especially since Ultimate's doing it's darndest to celebrate the franchise's history and bringing every single veteran back no matter who they were. As it will soon turn 20 years old next year. And of course we gotta begin with the one that started it all. Super Smash Bros., for the Nintendo 64. Hello there, I’m making a bit of a sequel thread to my previous Merit thread in honor of the new game coming up. Like it has been since I started this, suggest characters and I’ll give my opinion on what chances they have to be included in this upcoming game. Though first I want to give my thoughts on many of the characters of the previous game. We have to remember that last game the roster was HUGE. While I do expect most of the characters to return anyway. I feel like there’s a possibility they at least temporarily cut some characters from the base game. But I wouldn’t fret for most characters, because I feel this time around updates and/or DLC can rectify that situation pretty quickly. Though I suppose one point against that is that’s not something Sakurai likes to do. But still, it is kinda hard to believe that all the nearly 60 characters will all come back immediately given how soon this game is coming out, though I’d love to be wrong. That said, I want to just mention briefly how I feel the likelihood these characters will at least be in the base game should it come down to some being left out or not. I will also mention characters that I think could be saved for later should they decide to go for periodic updates and DLC like I mentioned earlier. This is mostly speculation as for all I know, every single playable character from Smash 4 could be safe and sound after all. But if there is any doubt about that, I want to explore what the possibilities are. I think Smash 4 will still generally be used as a building block even if there is quite a bit new with this game. Sakurai will treat this as if it’s Smash 6 (Reminder that he considers 3DS to be Smash 4, and Wii U to be Smash 5), So even if it turns out to be mostly a port, Sakurai will still treat most of the returning characters as veterans. Even the ones that were newcomers in Smash on 3DS and Wii U. *This might just be a slight thing that I’d prefer to see happen. These 2 are cheap clones so they could easily come back especially if for the most part the roster is mostly porting from Smash 4. But I think it would be a plus to make it an option to have these characters or not. If they’re released later, I’ll never buy them. But for those who would like clones like Dr. Mario and Dark Pit back, they can have them potentially through this. I’ve only rented the first game once. Generally ok to me. It’s a franchise that’s more oriented in the online matches then it’s single player. So personally i’m not too interested in the franchise. But that said I think they are worthy inclusions for this game for sure. And that’s all for now. Feel free to ask me how I feel about any potential newcomers and veterans that didn’t make it back in Smash 4. This is (Or at least partly) a new game and thread. So even if I already talked about them in the previous thread feel free to suggest I talk about them again. With so little information we have on the game I may need to come back to any suggestions that are made before E3 afterward. Because who knows where this train of hype takes us. As with any Smash speculation scene, there will probably be characters we don’t see coming and possibly even more unwritten “rules” being broken with new characters riling up the fanbase. There will probably be moments where I’m dead wrong, but I don’t care because Smash speculation is back. And it’s a wonderful thing for sure. I'm excited for what's in store for us. Even when the game is released, it will most likely not be over for a little while now. Speculation ahoy! It sounds like he hanged himself after Chris Cornell's (They were good friends) own suicide by hanging pushed him to the edge. He died the same day what would of been Chris' Birthday. It's definitely made me sad. Linkin Park was at one point my favorite band. And while they aren't my absolutely top favorite anymore, I still like alot of their music. So this is a pretty big blow to me. However anyone felt about Linkin Park. They are a very successful band that made some undeniable hits and were well-liked among many who's music tastes fall under the stuff that came out in 2000's and such. He's going to be missed by many fans who grew up with Linkin Park. Rest in Peace, Chester. Hope you're rocking it up with Chris up there. I recently discovered this channel. ExoParadigmGamer is a game reviewer that has done plenty of well put together and decently long reviews since 2013. One of his main segments is Remake or Rebreak. Where he compares the original version of a classic game with a remake that came sometime later. This includes comparing the NES versions of the first three Classic Mario games, and the SNES versions of Super Mario World and Yoshi's Island with the Super Mario Advance series. He also did the same with the Donkey Kong Country trilogy and their remakes on GBA. Given this is a Mario saturated site there may be a lot of things he covers that you already know having played the games themselves and/or read the wiki. But if you've wanted a more detailed comparison (He even goes into things like if the controls make anything different or the music differences because of what the NES, SNES, and/or GBA's soundchips could handle) into what makes the remakes different then I'd recommend checking them out. He's also done a similar retrospective with the Classic Sonic games. Doing a Remake or Rebreak for the Classic Trilogy in comparison to the Mobile ports by Taxman & Stealth. As well as the awful Sonic Genesis (Sonic 1's Port to the GBA). He's even gotten into the Adventure games & Heroes which he calls the Dreamcast era (Even if Heroes wasn't a Dreamcast game he explains why he considers it part of the Dreamcast Era in his review of Heroes), going as far as defending the games from the rather unfair backlash they have received in recent years. Though he still calls out the games both in the Classic trilogy and the Dreamcast era where it's due. Be warned that if you like Sonic the Hedgehog 2 the most out of the Classic Sonic games, he's rather very critical at times in his review and even considers Sonic 1 better. Though he still likes Sonic 2 overall. He's also covered other franchise games including from Metroid, Star Fox, Megaman (Though both Star Fox and Mega Man reviews are more sarcastic ones where he acts like a parody of the Angry Video Game Nerd that purposefully mispronounces words (Like he calls Star Fox Stairfax) where he pokes fun at the biggest nitpickers towards those games), Ratchet n' Clank, Jak and Daxter, Sly Cooper, and Legend of Zelda. So if you're a fan of any of those franchises as well you can check out his stuff from there too. Anyone looking for a reviewer that can give games that rarely get the analyzation these days just because of how old they are should have a nice time watching these reviews. They're even in the process of a humongous project where they play through every single board from Mario Parties 1-9 that started in 2012 and is still going. All those videos consist of only the main 4 players. The playlist for that can be found here. As I said though there also a bunch of older ones, which you can find on a playlist here. Some of these feature different guests. Some of which have moved away, though there are some that come back occasionally (Like Reverend Inferno, known for using Waluigi in nearly every game he's in appeared for Mario Party 10). There's even a few times they had a full on 8-Player Mario Party because of Mario Party 7. If you want to watch every one of their playthroughs in chronological order. Then this for the most part is the one to start at. These videos are really long though, so you really have to find the time to watch them if you want to see them. But if you at least sparingly watch them on the weekends at least. You can get your weekly dose of salty shenanigans. They do have other games other then Mario Party on occasion like Smash 4 (Even done a few rounds of Smash Tour keeping with all the Saltiness of Mario Party and mixing it with Smash) and some Mario Kart games. But otherwise is still mostly Mario Party centric. P.S. If the mods don't think this is the appropriate spot for this, feel free to move it to General Entertainment. 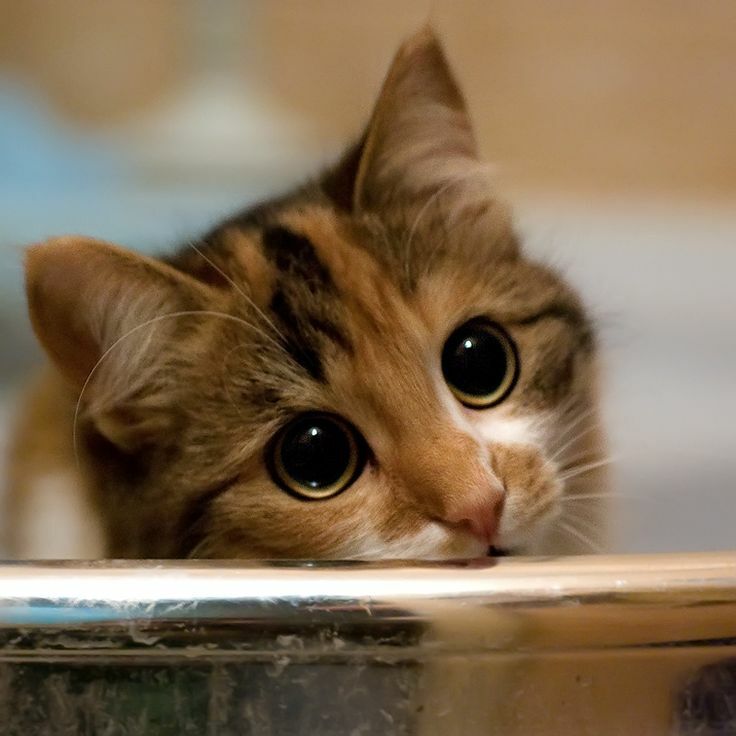 Just a quick game where whoever posted last, the next poster posts something they know or at least think the previous user likes. They don't have to be images, they can also be videos or links to other kind of stuff. The user who sees what was posted for them can confirm that they like it using well... the recently added like function. But it's certainly not a necessity. Barring some situation where Nintendo decides to have someone else add more DLC after Sakurai has officially left development of Smash 4 to pursue his next project. Smash 4 is entirely done with adding new characters to Smash 4. Leaving the final total characters at 58. Which is a number thought impossible even among optimistic views of the roster for Smash 4. It's a really large roster and has the largest amount of added newcomers of any Smash game. But now, here comes a bit of a dilemma in regards to the next Smash game. 58 is alot of characters especially for a game that boasts such character depth for a vast majority of them like Smash. It doesn't matter if you've been developing games your whole life or not. Trying to bring all those characters plus add a decent amount of new characters for a new game is alot on your shoulders. As not only when bringing them to a new game you have to balance them and possibly address issues such as complaints of how viable (On either side of the spectrum) they were in the previous game and balance the new characters while keeping them faithful to their games. Sakurai has said himself that games these days have become alot more difficult to make then they were even as far as just a decade ago. And the more effort that's needed to complete a full game, only the truly dedicated people would be left to design the game and sometimes that's not enough. Especially when it comes to expectations from the fans. The other option would to have everything done from scratch but at possibly the cost of losing alot of characters (And I mean quite a bit as in so much that they can't possibly just bring everyone back through DLC in favor of newer, more relevant characters). Even ones that are generally considered safe returns in order to make the next game feel truly different. Cause if you work on everything from the ground up, no doubt the developers would look down upon bringing all 58 characters from Smash 4 back in the Main Game. This is something where the developers can really get a focus at what they want for the next game instead of possibly just basing the game mostly on the previous one that would make some people feel they're going cheap on the process of bringing out Smash games. But it may break the hearts of many who loved any of the cut characters as every Smash character has fans that have some degree of attachment to them. This is has just been something on my mind after DLC has officially finished when I just think about just how huge the roster of Smash 4 is and what impact it may have on the future of Smash considering people were hoping for little-to-no cuts between Brawl and Smash 4 too (For the exception of Wolf, Snake, Ice Climbers, and two of the three Pokemon Trainer pokemon we got that). If the next game isn't going to be simply porting over characters then there's no possible way they bring everyone from Smash 4 back and will no doubt probably have the largest amount of cut characters unless there's a promise to bring everyone else back through DLC. At the same time though the other side has a point in having the games feel truly different from what another. As while the differences between Brawl and Smash 4 are considered the smallest difference between each and every game in the series it still plays much differently enough for Smash 4 to be it's own game even with the rumors that much of the characters that were in Brawl that are in Smash 4 may have been somewhat ported over. There's been talk that they've kinda already have been porting characters over, especially when Sakurai implied they may have tried to bring Mewtwo from Melee back that way but the technology was too obsolete to do properly so they built Mewtwo from scratch (While still keeping him faithful to how he fought in Melee). And if that's the case, then the question is should they continue to port characters like this so that we make sure a good majority come back? I think it's an interesting debate as Smash 4's speculation dies down and we look towards what the next game could bring years ahead of us. We have no idea what the situation will be by the time Smash 5 starts nor do we know if Sakurai will even be the director of it. And we have no idea what side of this would a new director take it as it could be either/or. Cause it could be the porting so that alot of what Sakurai's done for the series hasn't gone to waste and it makes people happy with the new director that they brought most of the characters back. On the other hand the new director may have an entirely different vision of Smash Bros. then Sakurai does and want to do things his way. And that may include changing up everything from top-to-bottom, including cutting characters that only Sakurai had the vision to bring-to-life as fighters. This is a vastly important question regarding the future of Smash Bros. that I feel definitely needs to be discussed. And should a Smash 5 be announced years from now, we can look back and see what they eventually went with. Before Brawl's development it was always a bit of a pipe dream that characters outside of Nintendo could make it into Smash. Though there were actually attempts to implement them even as far back as Melee. When Banjo could be found in the Character Polls, Kojima tried to get Snake in but was too late, and there were talks from a higher-up from Sega that they considered pitching Sonic for Melee as well but it never even came to that. So the franchise went a whole 7 years without any hint of the series ever adding any 3rd Parties and thus created this aura about Smash that it was going to stay Nintendo and only Nintendo. So any characters not made by Nintendo were considered impossibilities. But then the whole gaming world shattered when Solid Snake from Konami's Metal Gear Solid series was revealed as a Newcomer in E3 2006. Sparking controversy and sudden new possibilities for the future of Smash. Suddenly speculation wasn't specific to just Nintendo-owned characters. Those with big dreams for their favorite characters that were thought impossible because of a seemingly invincible rule that it must be Nintendo-only. Something that for some have gone so deep into their minds that their are still people out there with heavy opinions that the series should of kept 3rd Parties out. But soon we'd have another addition. And probably the most popular 3rd Party addition yet to the franchise in Sonic the Hedgehog. Where even if you weren't a Sonic fan, many wanted him just to have him get the chance to go toe-to-toe with Mario in memory of perhaps the most well-known Video Game rivalry of the 90s. Sonic Vs. Mario was a fight that only lived in the dreams of young gamers everywhere. But now it became a reality in Smash Bros. a game that's already full of fights you can only dream about elsewhere. That would be it for 3rd Party additions for Brawl as Sakurai stiffened any further 3rd Party additions in Brawl after Sonic. Heck Sonic nearly didn't happen at all and Solid Snake could of been the only 3rd Party. But it was thanks to huge demand that arguably no character in Smash has ever equaled with Sonic's inclusion. And then the new status quo became that as long as the character had a good history with Nintendo (Snake and Sonic both shared this, though Snake was at a lesser extent considerably). They're good for Smash. And upon Smash 4's annoucement, there was no better way to start off speculation with a bang then with Mega Man. Which in terms of both history of Nintendo and Iconic 3rd Party in general is no question the most deserving 3rd Party to be in Smash in the entire franchise. After Mega Man though, came perhaps the first character that could be seen as less Nintendo involved with Pac-Man. Yes, Pac-Man has had Nintendo games for a long while. But Pac-Man was known more for his arcade game that gave birth to the idea of Video Game Mascots then everything else. Pac-Man may literally have single-handedly helped the creation of a majority of the cast (Besides Mr. Game and Watch) in Smash by just being an icon that helped the entire industry gain alot of success through the arcades. Snake and Megaman all started out on Nintendo Consoles, and Sonic was created in order to compete with Mario. All previous 3rd Parties before Pac-Man were influenced in some way under Nintendo. Pac-Man's the vice versa, he may have inspired Nintendo to create their own mascots and/or soon-to-be iconic characters. Smash 4 at the base game would be done with 3rd Parties. While it was missing Snake from the previous game, no one could deny having essentially THE Mount Rushmore of Gaming (Pac-Man, Mario, Mega Man, and Sonic) in this was completely awesome. Only those who were huge Snake/Metal Gear fans were disappointed in our 3rd Party line-up for Smash. But then DLC came in! Though there were of course the initial doubts of a 3rd Party character being added through this. Because especially if they were from a different company then those already represented. The box of the game won't have them credited (As silly as that sounds now that obviously they'll just add it in-game, Cloud's inclusion will probably have this). In fact when we got out first 3rd Party DLC it would be another representative from a company already with a rep with Ryu who is one of the most iconic Fighting Game characters. Suddenly 3rd Party rules have changed once again, companies could have more then one rep if the team behind feel they're also worthy of inclusion. This however disturbed anyone who at least tolerated the fact that 3rd Parties were restricted to one representative as now new lines were drawn. At least Ryu still boasted a good history with Nintendo in the past and some of the other characters have moves that are even based on some of Ryu's old moves. But now of course, not too long ago... a huge bombshell was dropped that would further "limit break" 3rd Parties with Cloud Strife of Final Fantasy 7. A game that has never been released on a Nintendo console (Yet at least, the remake could make it's way onto NX) and a character who only had a few cameos here and there in the games he did appear on Nintendo consoles in. Now the rules majorly changed again, it's now the franchise that matters most. Not the character. Final Fantasy was huge for Nintendo back in the day but Cloud's debut was when Square and Nintendo had a falling out as FF7 became PS1 Exclusive. Unfortunately for Nintendo, that resulted in having a new powerful rival in the Console business that still goes on to this day. Sony proving to be a console rival far more consistent and better then Sega. And Sony's console itself having one heck of a killer app for it with FF7, as well as the closest the Final Fantasy series has to a household name which regardless or not if there's this growing movement about the game being overrated as many other games that came out in the Late 90s have been going through none of the characters that came from previous "better" final fantasies from those games reached that on the level of Cloud Strife. But Sakurai doesn't seem to care if the character is actually that relevent to Nintendo anymore, it certainly helps but it's no longer seen as a requirement. Those who preferred when it was Nintendo-specific likely will be appalled at the steadily increasing amount of 3rd Party reps. But the truth is certain, the majority love it when a really well-known non-nintendo character makes it through and Nintendo & Sakurai knows it. We've gone from two to 5 between Brawl, Smash 4, and Smash 4 DLC. Is there still yet more to come or has Cloud topped off the 3rd Parties in Smash? We don't know yet, but I think by now we know for certain that 3rd Parties in Smash aren't going anytime soon. It has become a staple of Smash Bros. to include legendary non-nintendo characters to the point it wouldn't be surprising if it became just as if not more of a priority for Nintendo then adding newer 1st Party characters. So this thread here is to ask these questions: How do you feel about the impact 3rd Parties have had in Smash? Which 3rd Party character(/s) are your favorite (Poll up above)? Is the current 3rd Party roster perfect as is or is there more characters you feel would make it feel more complete? What would it take for you to consider Nintendo taking things too far/crossing a line with 3rd Parties? Hello everyone, I'm here with another Mafia. This time based on the Star Fox franchise. It will mainly take things from Star Fox 64 and Star Fox Assault and to a lesser extent Adventures (If enough extra roles come in, Star Fox 2 and Star Fox Command may also play into things). There's a few things I want to tell you how the game will go before any sign-ups start. 1. In this game, there will be HP/Stamina. Everyone will start at 100 HP. *Each alignment starts at a certain planet and almost all the locations are planets and/or other parts of the Lylat System. Movement is restricted to 1-3 nearby spots of the player's choosing. -You can do regular movements of 1-2 spots anytime. -If you go ahead by three however you must stay there for the next night phase cause your ship runs out of the fuel needed to travel to another planet. -If no request of movement is sent to me by the end of a phase, they will stay on the area they were in the last phase. *Some powers are stronger if you happen to use your powers on someone you happen to be on the same location on. *Most spaces will just be normal spaces that may leave you at least clues to the alignment of who visited that planet last. However there will be a select few things where it's possible that just visiting a planet damages you by 25 HP. And similarly healing by 25 HP. *In all likelihood this will result most of the time in someone who was struck to at least live on for one more phase before being finished off. Not being able to completely finish off a player with full HP means both teams have to think strategically when choosing if they want to finish off a player the following day/night phase or spread the damage around a little more. And even if you're damaged you still have time to plead your case for at least one more phase. 4. Phases will run the same length as Xenoblade Mafia. With just about 3-4 Days for each phase. Considering it's now possible to attack multiple opponents though, the Consensus from Xenoblade Mafia that can end a phase 1 day early will not be in this game. Monday-Thursday Morning will be the Night Phases, while Thursday-Monday Morning will be the Day Phases. I need at the very least 16 sign-ups. I do have more characters in case there's a bit of overfill. Now I'm sure there's quite a bit of collective groans already given the thoughts on this series has many thinking it's wore out its novelty. Though if I must say something, I believe the previous Summer Olympics game (London 2012) vastly improved upon some stuff that I think we could definitely say it might be the best of the bunch. That alone might be some room for optimism. Another thing is some people may have already noted there could actually be some new characters this time such as Diddy and Nabbit from Mario as well as Jet and Zazz (Zeti from Sonic Lost World) from Sonic. 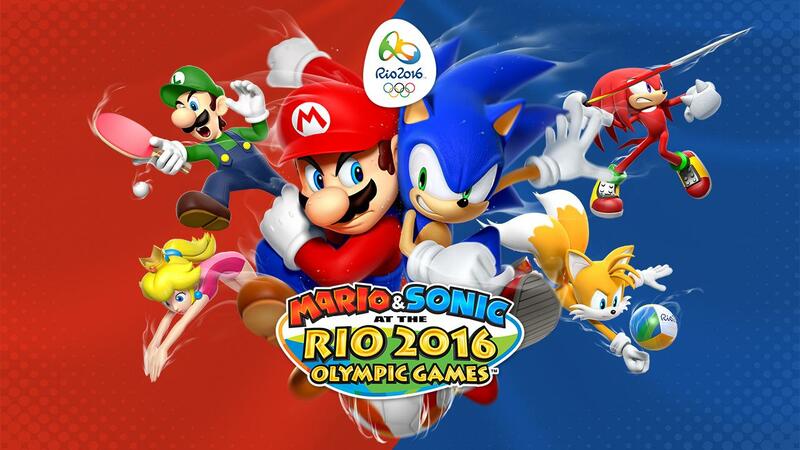 So for the fifth time since 2007, Mario and Sonic will crossover to play some friendly rivalry sports competition. You know there's been quite a bit of Sonic threads here. Whether they're for many of the new games, the cartoons, etc. but it's a bit surprising there just hasn't been one thread where we can focus all the Sonic game discussion in one place. If it did exist I certainly couldn't find it easily through the forum search. So why not change that now? In our little community we have a decent base for Sonic here. Of course not everyone does as either they don't care or they dislike it because of how the series was once Mario's biggest competitor in the early 90s Console Wars and they still cling to something similar to longtime Sports rivalries even with Sonic's move to 3rd Party and increased appearences on Nintendo consoles and crossovers or how popular the series is despite the admittedly lower quality of games compared to the days of the series roots. I'm one of those that grew up on both Mario and Sonic games (Main reason why my default name is SonicMario of course) and I cherish both series equally. Though admittedly I do give Sonic more attention because he's much less successful as a franchise then Mario. And heck just about 8 times of 10 I'm playing as Sonic in the 2 (or 3 if you're a stickler on Smash 4 3DS and Wii U) Smash Bros games he's in. I give Sonic more attention personally because Mario is already recieving greats amount of Praise. Sonic's fallen to some hard times for a while. Sonic 06 brought upon the beginning of a dark age for the franchise that depending who you ask, Sonic Unleashed and/or Sonic Colors, and/or Sonic Generations brought the end of it, though there are also those who may believe we're still in that period and Colors and Generations were just two bright spots in an otherwise still reeling Franchise trying to get on it's knees again even if Sonic 06's damage may be irreparable. However, the series is still alive despite the string of mediocre or worse games. And there's this feeling where the franchise has already hit rock bottom with Sonic 06. No matter what happens, the franchise can't hit that again. It can only get better from here even if the franchise never reaches quite the peak it had in the mid 90s. (And no, I don't count Rise of Lyric as another Sonic 06 situation). While the future or even the quality of the next Sonic game remains unsure, fans can usually rest assure that the Blue Blur will continue on. Next year in fact will be the 25th anniversery of the franchise. We don't know yet if Sega has any big plans if at all for it. But they usually have something up their sleeve for this. While there is one huge anniversery game that is the catalyst for the hard times of the Franchise (Sonic 06 was the 15th anniversery game) there is also Sonic Adventure 2 and Sonic Generations for the 10th and 20th anniversaries respectively that has given a sense of a rebirth of interest in the franchise. I'm not saying whatever comes in 2016 for Sonic will be anything huge or noteworthy, but we know that Sega is now taking special care for Sonic announcing recently that they're going for stable profits for a little while through smaller games instead of risking stuff on big projects that have short deadlines. This is notable because for the longest time Sega usually wouldn't let one year pass by without a decently sized Sonic game being released. This could be the time the franchise has needed for a while: a good rest. As well as careful planning for the future instead of spreading Sonic through every imaginable idea Sega comes up with (Riding airboards, turning into a werehog, going into storybooks, etc.) even if the games turn out decent. I do think that Sonic will find it's way onto consoles again. But it will be a time Sega knows what it's doing having evaluated mistakes in the past, and knowing they're churning out a quality game. Anyway, on Sonic Runners. I don't have a mobile device to play it but I thought'd share a few things. Like this article of some leaked details of stuff coming to the game. Also... 5 Night's at Eggman's? Welcome to the gamethread of Xenoblade Chronicles Mafia! I hope to recapture the fun that I had when I was hosting my first two Mafia's while having a generally balanced and less predictable game. A game that doesn't just give the reins to most important and powerful roles, but more so how strong the players are in the game. And if you ever get the chance to play through or watch the entire main story of the game, almost entirely faithful to the full story of the game. Without further adieu, here's the rule list, the list of players. As we shall begin! P.S. With the fact that there will be a few twists then and there. Let me give an important clue on keeping an eye on some of this. Keep an eye on the OP throughout the game as the game progresses. There will be at least a few occasions where this may be important to ask yourself what it means and decide from there what to do about it. And whether doing the move that you suggested will end up being the right move. 1. The Innocents are the People of Bionis, and the Mafia are the Mechon. Typical rules as follow that the Innocents win if they find all the Mafia members, and the Mafia win if they dwindle down the Innocents to equaling or outnumbering their opponent. In this game however, it may not turn out as black-and-white as this..
3. I'll allow deadposts as long as it's only fit for some light teasing or any comment they want to give on the events of the game following their death in the game. I'll advise not to post too much if you've died in the game and also while this should be common sense, don't reveal any information you had when you were alive in-game if you've been killed. 6. Send commands such as Nightroles or communication with other players via PM to me as well. Those who are part of the Quicktopics may also express their wish to use their powers there. 7. Each Phase will last roughly 3-4 days. Ex: Day 1 will start on Thursday Morning and end Monday Morning. Where then Night 1 will start, and end next Thursday Morning. This should be how the entire game goes unless something dire happens for me to have to halt and/or postpone phases. The long time period is to give everyone a shot at sending in something on the phase as some people may have school or other busy work. As well as other Mafia's going on at the same time. Day Phases may end on Sunday Morning if there's a good consensus on things. 8. Please be at your best behavior and be respectable to all players regardless if they're on your team or otherwise. Night sets on the world with the two titans that entire outside and inside encases entire landscapes where even some of the biggest creatures in size are mere ants in comparison to the sheer size of the two titans. The stage where things are being settled are on Sword Valley. An area where at the end of the fateful battle between the two titans, it's where the Mechonis stabbed the Bionis and with both Titans inactive. It basically is a bridge between the long inactive Titans. Ether Magic is being used to cloak major players on each side, and only under circumstances such as enough suspicion or death will reveal who they are. This runs the risk of much of the members of the Bionis killing their own teammates, but those who are leading the Mechon would also be there under the same cloak and it's the only chance they've got to end this once and for all. Can the People of Bionis find those who wish to exterminate the Bionis and all those who live on it, or will the Mechonis have it's way and a new world order where Mechanical Machines of destruction rule the world? Or maybe the events that transpire will be a little more… complex then the simplicity of which side will win. Well it's been a long time hasn't it? Hello, I'm back with a new Mafia game. It's been a while since I hosted... heck even played a Mafia game in a while. But I felt like getting into the groove of hosting a game, I don't think I'll ever be playing in a Mafia game ever again myself. But I have alot more fun with Mafia when I'm hosting. My last Mafia was the Day Vs. Night Team Based Mafia, though I certainly know that the reception to that game was definitely not recieved well. But don't worry, this Mafia will go back to how my first two Mafias were which were based on Courage the Cowardly and Star Wars. Much closer to a more traditional way, but of course twists on it depending on the source material of the Mafia. And yes, it's based on Xenoblade Chronicles. Which is of course where Shulk, one of the hit newcomers for Smash 4 comes from. While I haven't actually played the game (I have been keeping up on Chugga's let's play of the game though, so I know how the gameplay is), I have seen all the cutscenes in the game and it's a really wonderful story that is definitely interesting and memorable enough to make a Mafia game out of. Anyway, I need at the very least 19 16 sign-ups for this game. With room for more if there's a surplus of people wanting to join in. I may put the obligatory list of rules later on in this thread. But for now I will say that each phase will last 3-5 days so this game will be at a bit of a slower pace compared to my previous Mafias. I must also give a warning that if you plan on playing Xenoblade Chronicles for yourself in the future. Some of the roles will definitely be spoiler material. I will try to keep most plot details to explain what some of the characters did in a Spoiler tag for those sensitive to Spoilers. But some stuff like even down to their names and what their powers are, they may be themselves spoilers for some important stuff in the game for when you play it.